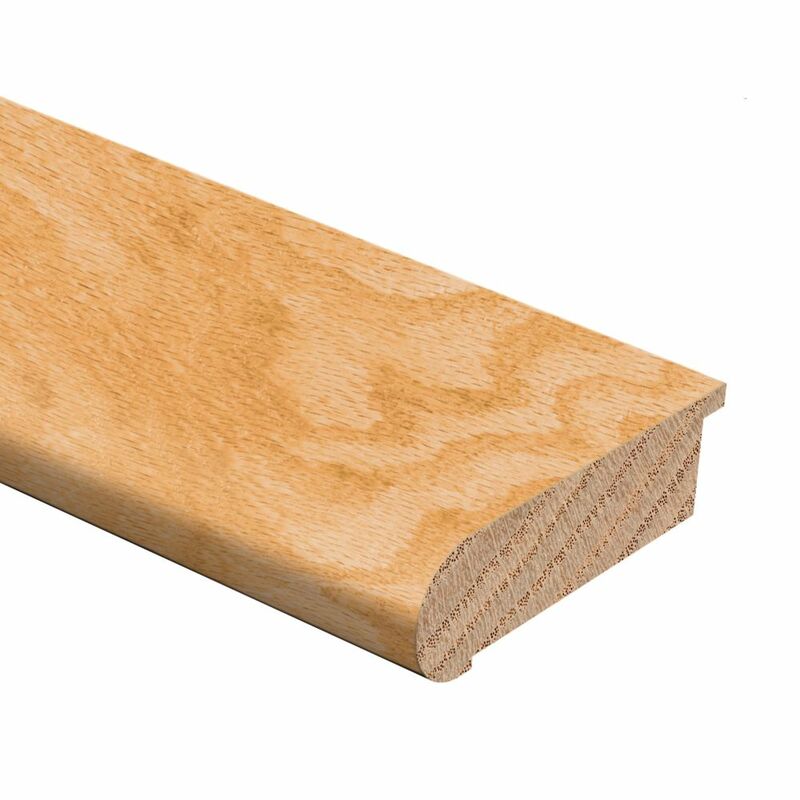 Unfinished Red Oak 94-inch SN 3/4 Inch Stair Nosing is designed for installation on the edge of a stair tread. Stair nosing adds beauty to your home while absorbing much of the staircase traffic. Coordinates with vinyl flooring, trim and mouldings. The stair nosing provides a beautiful finished look to your home. Unfinished Red Oak 94-inch SN 3/4 Inch is rated 3.9 out of 5 by 14. Rated 5 out of 5 by Dbing from We used this to finish off the hall hardwood floor at the top of our basement stairs. However, s... We used this to finish off the hall hardwood floor at the top of our basement stairs. However, since we used 3/4 inch flooring, we did raise the height of the next step down. It stained beautifully to match flooring. Rated 5 out of 5 by Magdalena from Thankyou exactly what we needed.... Thankyou exactly what we needed. Rated 5 out of 5 by Carpy from It worked perfectly for what I needed it for. ... It worked perfectly for what I needed it for. Rated 5 out of 5 by Peanut from Utilized this for my bar top edging; looks really nice. I recommend this and will use again on f... Utilized this for my bar top edging; looks really nice. I recommend this and will use again on future projects. Rated 4 out of 5 by Anonymous from Oak transition piece Only one piece available in store. It had blemishes, luckily we only needed a section. The product was nice but had dings and split so we had to dispose of 1/2 not useable.